Edited by Ellen Alderman, Elisa Leshowitz. Text by Alex Klein. 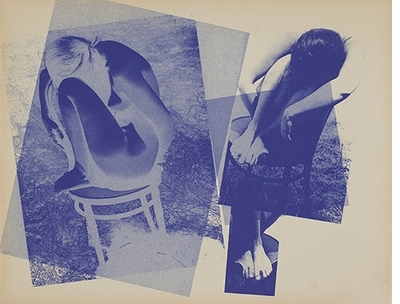 In 1973, American artist Barbara Kasten (born 1936) began experimenting with various photographic and printing techniques, resulting in a series of 24 diazotypes--a process used to produce architectural blueprints. 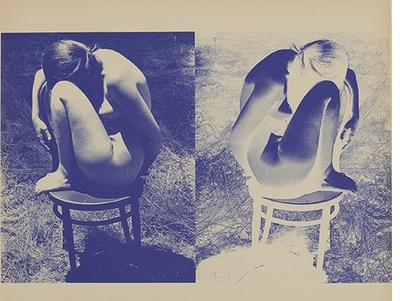 For these staged mise-en-scène works, produced while Kasten lived in California, a female student was hired by the artist to pose in various photographs on a chair outdoors. 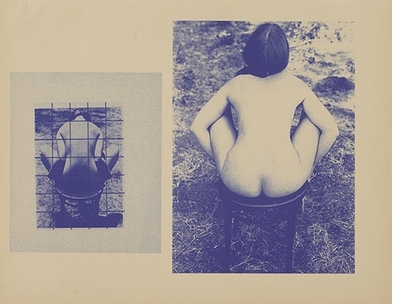 In them, a kind of performance unfolds, in which the body becomes entangled in forms and shapes, the overlaid printed grid on the photographs emphasizing the human figure against a determined space. 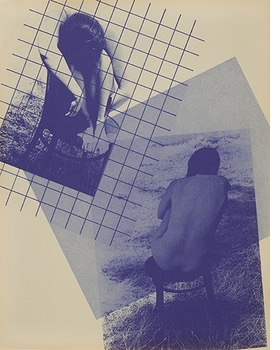 These images--with their clear Bauhaus influence, insistence on the two-dimensional plane and determined staging--initially appear to be totally unlike the abstract conceptual photography for which Kasten has become known, but are nonetheless a visible precursor to her later work. This unique artist's book marks the very first publication of the Diazotypes series, with each copy signed and numbered by Kasten. It includes an interview with the artist conducted by curator Alex Klein, who organized the first major survey of Kasten's work at the Institute of Contemporary Art, Philadelphia, in 2015. This highly collectible publication is a wonderful tribute to the lesser-known work of an interdisciplinary artist and offers readers a glimpse into the continuities throughout her ongoing practice. 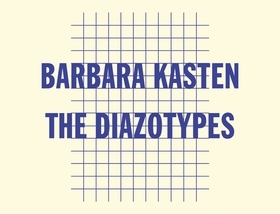 Featured image is reproduced from Barbara Kasten: The Diazotypes. Thursday, October 1 from 5-7PM, The Graham Foundation opens the Chicago leg of Barbara Kasten: Stages, the first major survey of the artist's work. In conjunction with the exhibition opening, the Graham Foundation and D.A.P. 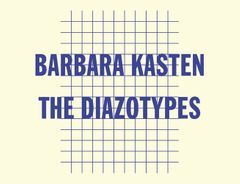 Publishing will launch Barbara Kasten: The Diazotypes—a special small-run artist book of Kasten's diazotypes, a body of work she created while living in California in the 1970s, using a process commonly employed to create architectural blueprints. Published by Graham Foundation/ D.A.P..